Rope access is not just for NDT and inspection, our technicians can also perform regular plant maintenance tasks in these difficult areas, including confined spaces. By making maintenance and repairs more affordable, rope access services can effectively mitigate the chances of current problem areas becoming larger issues in the future. That said, our rope access team then becomes an indispensable element of preventative maintenance programs, ensuring that nothing goes unnoticed due to inaccessibility. The key to any effective asset integrity program is planning and handling issues when they arise, instead of when it’s too late. 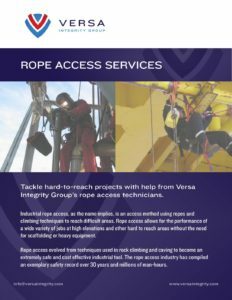 Versa’s rope access division proactively, and inexpensively, monitors and repairs damage in insulation, sheet metal, siding, fiberglass, and other structural materials. The ability to identify, test/inspect, and repair issues on-the-spot is what gives you the edge in proactively managing the integrity of your facility. 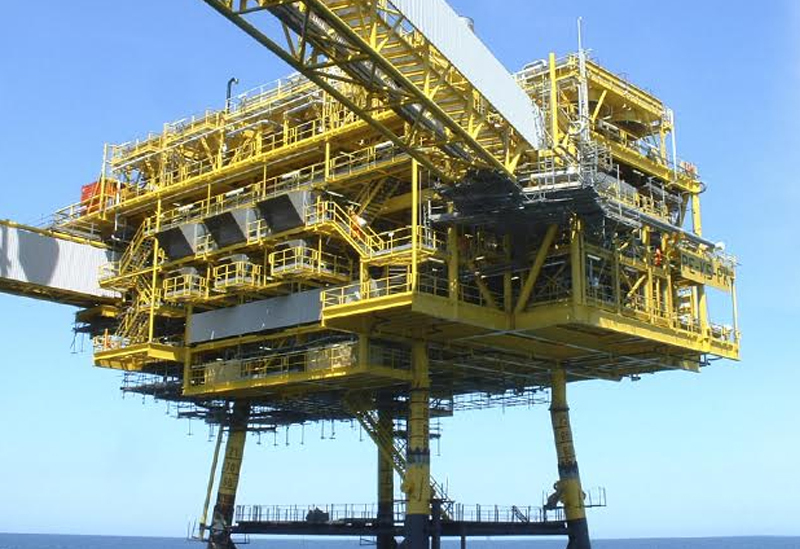 This, backed by a complete asset integrity management services company, ensures that all your facility’s needs will be attended to like they are our own.